I went to the Women’s March in Washington, DC, and was quickly separated from my wife and party and spent two house standing shoulder-to-shoulder with strangers. While I never heard nor saw the speeches, there was plenty of activity among the thousands jammed onto the National Mall. I decided to only bring my Canon PowerShot A590 point-and-shoot and Zoom H1 audio recorder with me, both of which fit into one jacket pocket. They proved up to the task of capturing a few of the magic moments from this historic day. Frank “Mickey” Toperzer passed away on Oct. 12. He was the owner of Drums Unlimited on St. Elmo Avenue in Bethesda, when Bethesda was a place where you could open a small shop selling only drums. Below is the article I wrote about him for Washington City Paper, almost 20 years ago. I was still fairly new at the journalism game and I started the interview with some question that did not meet Mickey’s approval. “Stop. Turn of the recorder,” he said sternly. Startled, I did as he ordered. He then informed me that my question was so foolishly broad and uninformed that it was impossible to answer and that it would only make me seem foolish. Then he told me the question I was really trying to ask and we started again. I’ve been told that Mickey kept a copy of the article in his shop, framed a bit sideways–because he felt it would catch people’s eyes better if it was off-kilter and then they’d stop and read it. A perfect example of how how Mickey’s mind worked. 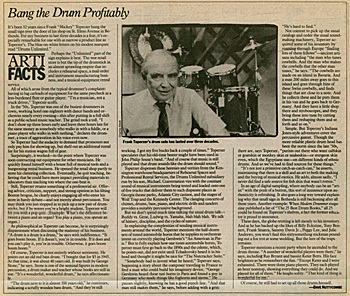 The reason I wrote the article is that I worked at Drums Unlimited right after high school and knew Mickey to be an entertaining raconteur, among other things. It was a great experience and Mickey taught me many lessons that I didn’t know I was learning until years later. Drums Unlimited made much of its money renting equipment, any and everything for a band, school, and orchestra. For a symphony gig at the Kennedy Center, the store came up short for seats. So Mickey gave me the keys to his house and told me to grab the bar stools from the basement. And I was also to pack up his son’s drum set. He’d rented that, too. When Burt Bacharach was playing the Kennedy Center, his drummer complained that the cymbal stand he’d rented from Drums Unlimited wasn’t tall enough. Highly annoyed by this affront to common sense, Mickey cobbled together a frankenstand that was probably 12 feet tall. I got in the van and drove it down to the KenCen. Because I was a clueless teen with no perspective, I just burst into the rehearsal room, interrupting the musicians, and walked the ridiculous piece of hardware right to the drummer. There were some laughs and a confused, then stern look from Burt. I don’t know who the drummer was–he could have been one of the Wrecking Crew who played on many of the original Bacharach-David songs. I hope I didn’t get him fired. Much of my time was spent delivering equipment to and picking it up from the newly-opened Kennedy Center. In fact, Drums Unlimited rented several tympani and a large bass drum to the National Symphony for Leonard Bernstein‘s “Mass,” which officially opened the Center. Even though Jackie Kennedy was just one floor above me, I remember being annoyed that the ovation went on and on and on, making me wait so long to pick up the gear. That was the real treat of the job — wandering around the still half-completed building, underneath the public spaces. One day I poked through a door and found myself standing on the stage in the empty Opera House. I took in the grandeur, took a bow, and snuck out quickly. In exchange for the keys to the van, I had to wear overalls with a Drums Unlimited logo. One day after a delivery I was heading to the vending machines by the dressing rooms when I spotted a tall man with long but well-coiffed hair who was wearing platform shoes and carrying a purse. Well, it looked like a purse. It was probably a standard messenger bag, but in the early 1970s guys did not carry bags, nor wear platform shoes. At least none of my high school pals did. But, because I watched The Tonight Show religiously, I recognized Robert Klein, who was appearing in a play. As he passed, I smartly called out, “Robert Klein.” He gave me and my overalls a snooty once-over and replied, “Drums Unlimited,” and continued on his way. I never much cared for him after that. Also, when I tried to score points by bragging to my friends that I had seen Robert Klein, nobody knew who he was. Rubes. Then there was the time I was hauling a couple of tympani drums back to the van, I got snagged trying to lug one down the stairs, tripped, and fell head-over-tympani. Bang, crash, boom, indeed. Another time, I peeled out from the light at Wisconsin and Bradley on my way to the KenCen. At the next light, a driver frantically caught my attention — the 28-inch bass drum had fallen out the unlocked back door and rolled down the road. I believe I was making $1.35 an hour — minimum wage at the time. After a while, tired of Mickey calling me at home at night to give me instructions on where I had to be the next morning, I asked for a raise — to $1.65 an hour. I was promptly told that my services were no longer required. Perhaps the “Unlimited” part of the sign explains it best. The wee retail store is but the tip of the drumstick in an almost sprawling empire that includes a rehearsal space, a mail order and instrument manufacturing business, and a musical-equipment rental service. All of which arose from the typical drummer’s complaint; having to lug carloads of equipment for the same paycheck as a less-burdened flute or guitar player. “I’m a musician, not a truck driver,” Toperzer scoffs. In the ’50s, Toperzer was one of the busiest drummers in town, working hotel one-nighters with dance bands and orchestras nearly every evening—this after putting in a full shift as a public-school music teacher. The grind took a toll. “I don’t show up three hours early and leave three hours late for the same money as somebody who walks in with a fiddle, or a piano player who walks in with nothing,” declares the drummer, a trace of aggravation in his voice even now. So Toperzer had the audacity to demand that promoters not only pay him for showing up, but shell out an additional rental fee for his station wagon full of gear. Surprisingly, it worked—to the point where Toperzer was soon contracting out equipment for other musicians. He quickly found himself with a house full of musical tools and a burgeoning rental business. He opened the retail shop partly to store his clattering collection. Eventually, he quit teaching, believing that he could have more impact providing materials to educators than teaching tots where the one-beat is. Toperzer dispenses these heresies and verities from the Kensington warehouse/headquarters of Rehearsal Spaces and Professional Rental Services, the Drums Unlimited subsidiary run by his son, Michael. Conversation vies with the constant sound of musical instruments being tested and loaded onto one of five trucks that deliver them to such disparate places as Georgia theme parks, Atlantic City casinos, and the stages of Wolf Trap and the Kennedy Center. The clanging concerto of chimes, drums, bass, piano, and electric drills and sanders provides a suitably percussive background. In an age of digital sampling, where anybody can be an “artist” with the push of a button, this sort of insistence upon authenticity is refreshing. 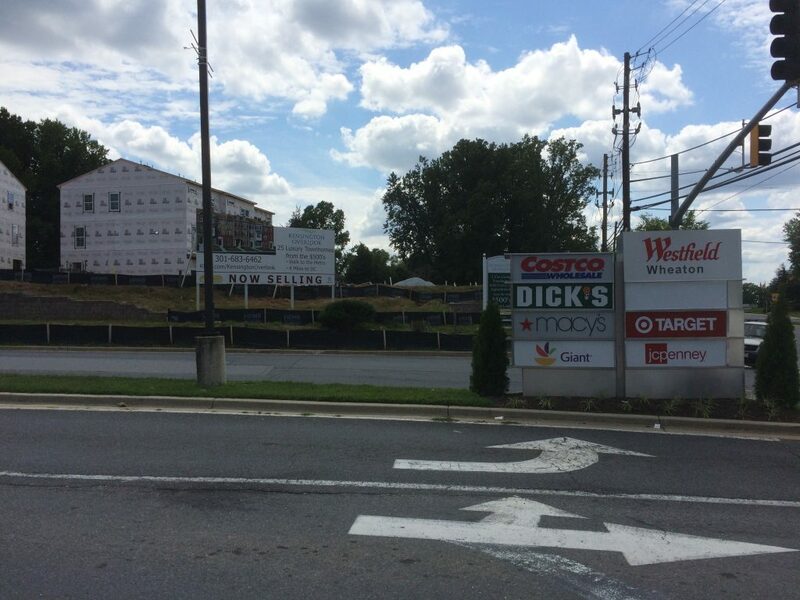 It also goes a long way toward explaining why that small sign in Bethesda is still beckoning after all these years. Another example: When Modern Drummer magazine published a list of “The 25 Best Drum Books,” all 25 could be found on Toperzer’s shelves, a fact the former educator is proud to announce. These days, the globe-trotting is left mostly to his inventory. And as he has backed up the likes of Billy Eckstine, Tony Bennett, Frank Sinatra, Sammy Davis Jr., Peggy Lee, and Julie Andrews, you won’t find this sixtysomething stickman pounding out a fox trot at some wedding. But the lure of the traps remains. Pleased to have worked with Metro Teleproductions on this introductory video for the Office of Compliance. I am fascinated by this song: Doctor Jesus, recorded by Ken Mellons; written by Tony Stampley and Justin Bolin. If you’ve been to Wheaton Plaza lately (excuse me, Westfields Wheaton), you might have noticed a small construction site. The sign out front boldly proclaims this new development as “Kensington Overlook.” The overlook part is definitely correct, as the couple rows of townhouses overlook Kensington by a good mile or more, that town being actually located so far down University Boulevard as to be invisible. Very little is correct about that. This “sophisticated enclave” is literally a tiny triangle of scrub land at the entrance to a large shopping mall. Your backyard is the parking lot for Target, across the two-lane entranceway is the Giant grocery story, and your front yard is a busy six-lane commuter road. Of course, all builders use the word “luxury” to describe what are the usual stick-built structures, with Tyvek-thin walls and a facade of inch-thick brick or stone-like substance. Montgomery County’s approved planning document [PDF] places this enclave squarely within the Wheaton Sector Plan. So, yeah, you can walk to Costco. And the Metro. That’s good “smart growth.” But put on your most comfortable hiking boots for the long, exhaust-filled trek to Kensington. Of course, whoever buys these sad dwellings will probably overlook that. 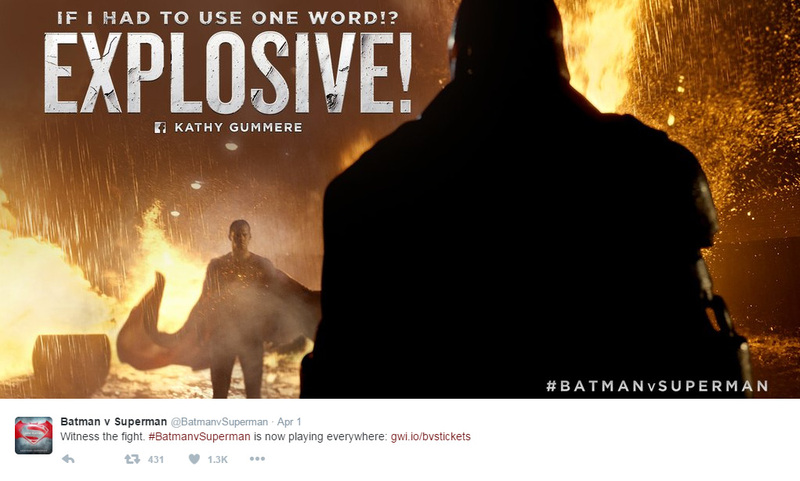 As the picture above indicates, this is a rant about the movie Batman v Superman, which I am on record here as despising. 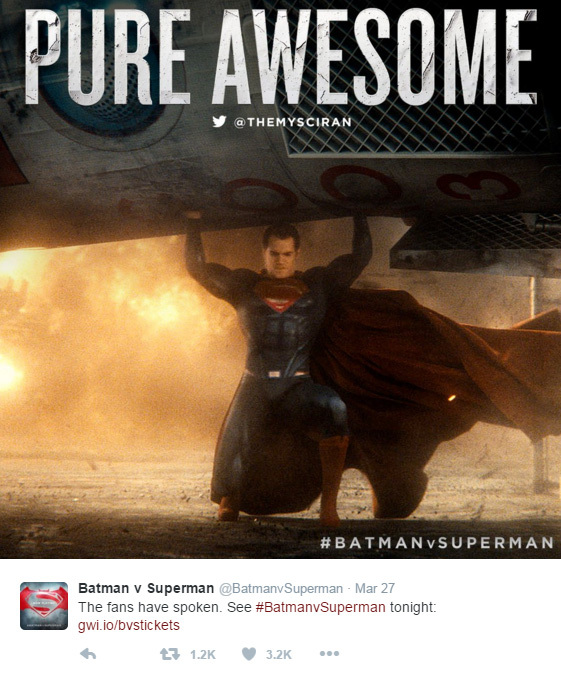 As crass and inhuman as that film is, not surprisingly, so, too, is the marketing a cynical ploy. Which, again, a redundant and easy complaint about marketing, but fight we must. 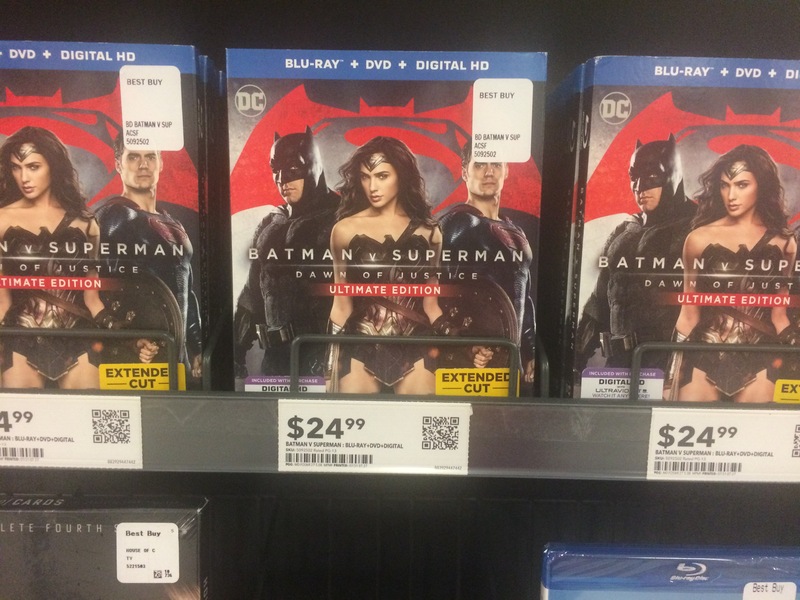 My ire is raised because for some reason Wonder Woman is given front-and-center position on the Blu-ray and on the store rack. 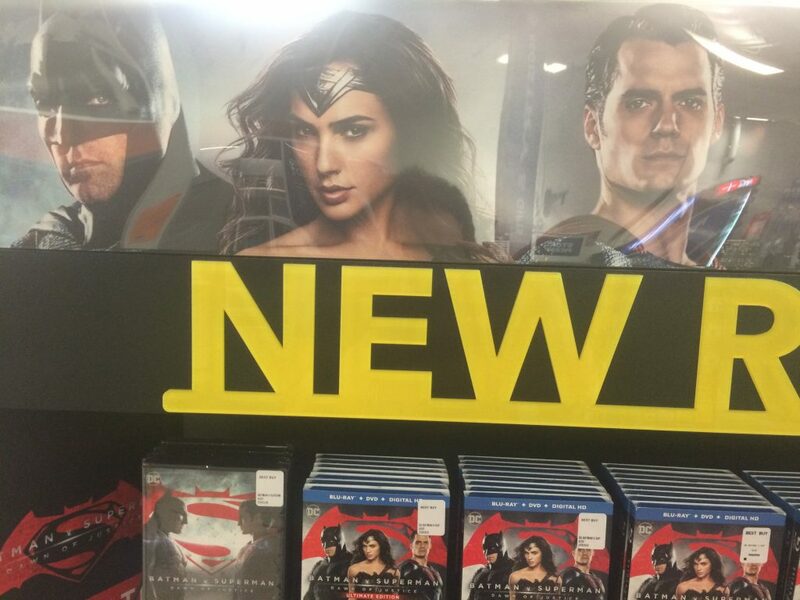 Remember, the movie is titled (foolishly) Batman v Superman: Dawn of Justice, not Wonder Woman and Batman and Superman: Some Kind of Insane Three-Way. Of course, that movie I would watch, at least for a while. 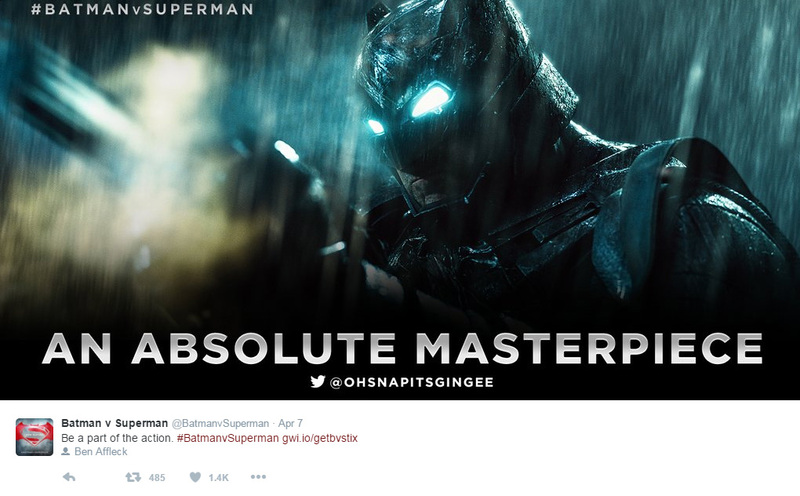 Wonder Woman, portrayed with universally-praised panache by Gal Gadot, was only in the two-and-a-half hour slogfest for a total of seven minutes. Seven minutes! A credit to the actress that she can command such reviews from so little screen time. And a discredit to the rest of the film that a bit player can steal the show, which remember features two of the most iconic characters in the history of the world. 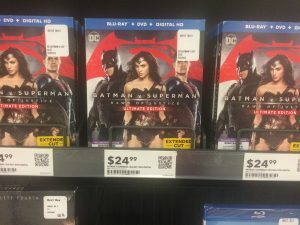 The reason Wonder Woman was in the film, and the only reason she is heavily featured on all the packaging and posters, is that Warner Bros. is also making a Wonder Woman film. Probably several. It’s cross-promotion, don’t you know. Sticking your IP into everything just because you can is a filthy business. Could probably use Diana Prince and her invisible plane, right? But why stop there? 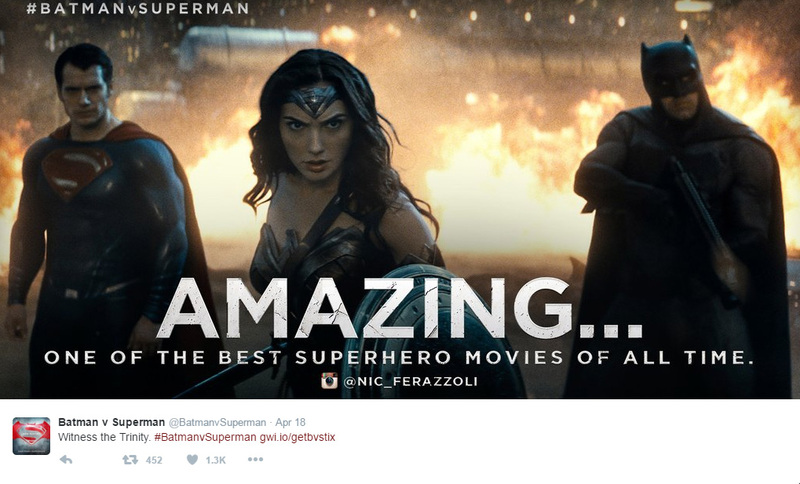 Let’s add Wonder Woman (or Batman, or Superman, or the Flash, or…) to other upcoming Warner Bros. features! Warners is making a new Tomb Raider. Another Scooby Doo. Another Jungle Book. Another King Kong movie, Kong: Skull Island. Yet another Godzilla movie, and a King Kong vs Godzilla movie! Wonder Woman vs. Lara Croft on Skull Island: Dawn of Mowgli. A Scooby Doo Adventure! Jeez. I take it all back. 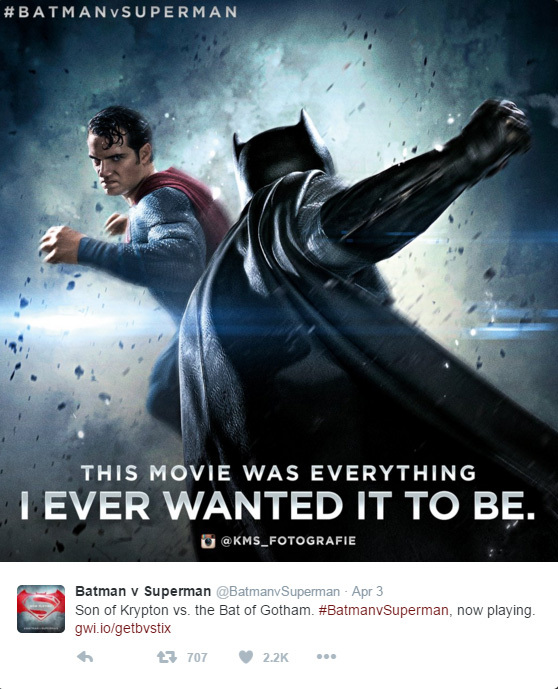 Warner Bros. should just stop making movies. 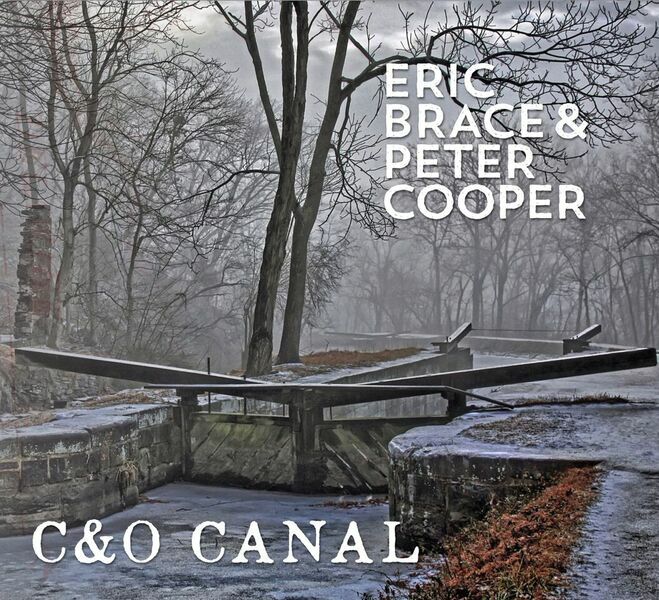 Hometown tunes from the 1970s and ’80s are the unifying theme of Eric Brace and Peter Cooper‘s heartfelt and nostalgic new album, C&O Canal. A love letter to the musicians who inspired the D.C.-raised duo, C&O Canal is a set of cover tunes penned the likes of the Seldom Scene‘s John Starling, Emmylou Harris, Mary Chapin Carpenter, Joe Triplett, Karl Straub, and more; it’s an ode to a particularly fecund era for the local music scene. The liner notes connect the many dots tying these D.C.-area musicians together, and hearing the songs filtered through the mesmerizing harmonies of Brace’s mournful baritone and Cooper’s high-lonesome tenor reveals the depth of craftsmanship and artistry this area has produced. “Washington history is as rich with genius-level roots music as it is tricky politics,” Brace writes, correctly. 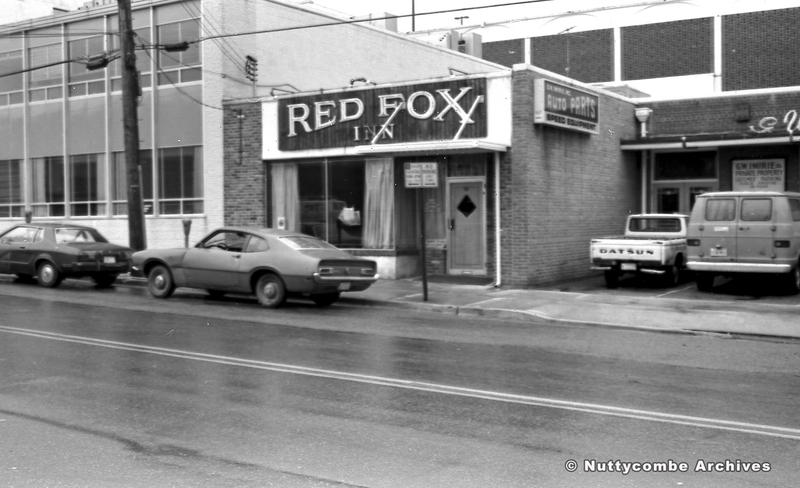 The album is dedicated to, among lots of inspirations, many of the D.C. clubs that hosted live music every week: The Birchmere where the Scene had its residency for so many years, Bethesda’s Red Fox Inn, where Emmylou started (pictured; I played there, too! ), Gallagher‘s on Connecticut Ave., where Carpenter hosted an open mic (pretty sure I played there in the late ’60s when it was called Sam’s Place), the fabled Cellar Door (so many nights there; so much magic). Almost every week in the ’70s, you could hear the Rossyln Mountain Boys‘ Joe Triplett sing his lament, “Been Awhile.” B&C bring it back with just enough reverence, while putting their own stamp on the song. Likewise, if Cooper’s plaintive version of “Boulder to Birmingham” won’t make you forget either Emmylou’s definitive original or the nearly-definitive version by co-writer Bill Danoff‘s Starland Vocal Band, he acquits himself well. I’d somehow missed Carpenter’s “John Wilkes Booth,” and so thought at first that the song was taken from some 1870s tract. But this recitation of historical perfidy manages to be both haunting and jaunty. Jauntily haunting? Is that a thing? On this album, yes. From the opening title track, John Starling’s “C&O Canal,” B&C establish a consistent tone and mood, a celebration not only of this particular town, but of honest music made by and about real people. In this age of individual downloads, C&O Canal is one of those too-rare releases that work as a unified whole. The result is a listening experience to be savored at length, even on shuffle-repeat. Brace and Cooper bring their Americana goodness to Jammin Java on Friday, June 3, for the official record release party. 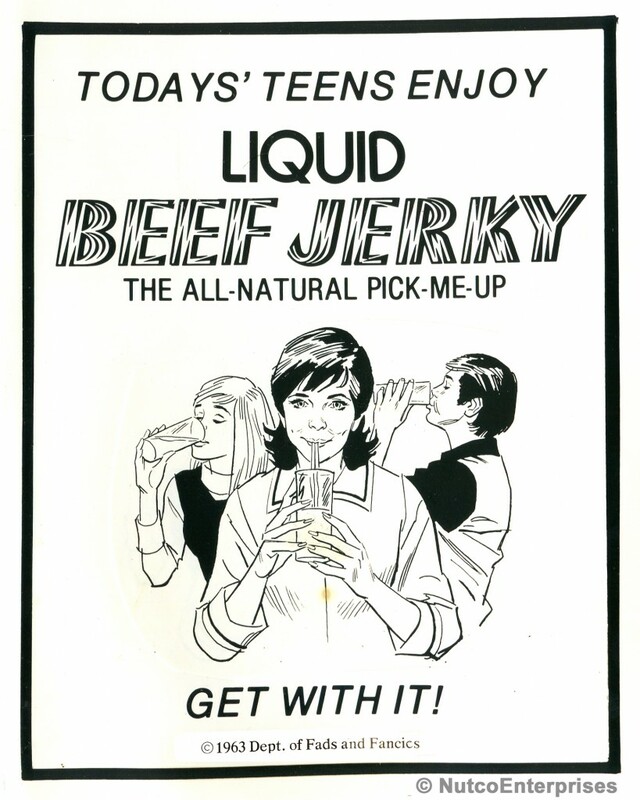 Filler ad from the Unicorn Times. The best job I ever had, certainly the best job title, was Filler Editor for the Unicorn Times. Whenever an ad fell out, which was often — and often on deadline — I was tasked with filling the space. Which I gleefully did with the help of some spiffy clip art and the photo archives of ’70s rock bands. The Unicorn Times was a monthly arts and entertainment tabloid that published from the early 1970s into the early 1980s, when the much better organized Washington City Paper came to town and finally squeezed it out of business. Unicorn was the brainchild of a jovial Irishman who started the paper largely as a way to get free drinks. In exchange, he offered to print the entertainment schedule of various nightclubs and when he had enough bars lined up, voila, a newspaper. Many of the fake ads were blatant come-ons for ridiculous products and included what I thought was the obvious gag of demanding money for a “free” catalog. And the address was always my father’s post office box: Box 602, Rockville, Md. Dad was a traveling salesman and I guess he thought he needed a PO Box as the mark of a serious businessman. I was fascinated by the idea and used it as my address for the comic books I subscribed to. Some of my jokes were apparently too subtle. I created a fake record company whose entire catalog was devoted to songs of the humpback whales, which was a thing at the time. Such supposedly spurious titles as Reggae Songs of the Humpback Whales, featuring Bob Marley and John Denver did not seem at all insane to the Library of Congress, a representative of which wrote a letter asking that I send over my catalog. The above filler ad is but one example of my publishing outrage recently unearthed from the Nuttycombe Archives. The rest are on my Tumblr site. Enjoy. 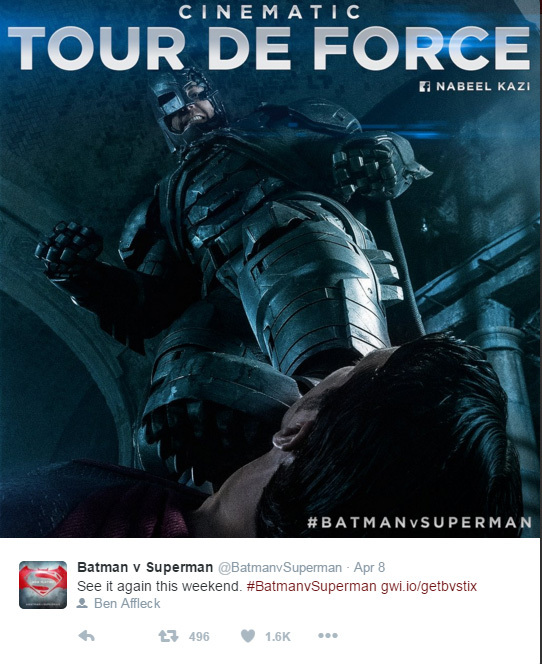 The film Batman v Superman: Dawn of Justice was so scorned by critics (a lousy 28% on Rotten Tomatoes) that the Warner Bros. marketing team has been reduced to dredging up what positive quotes they can find from the most random people on social media: a guy from Pakistan, an Irish dude who mostly tweets about football (i.e., soccer), and even a grandmother on Facebook. 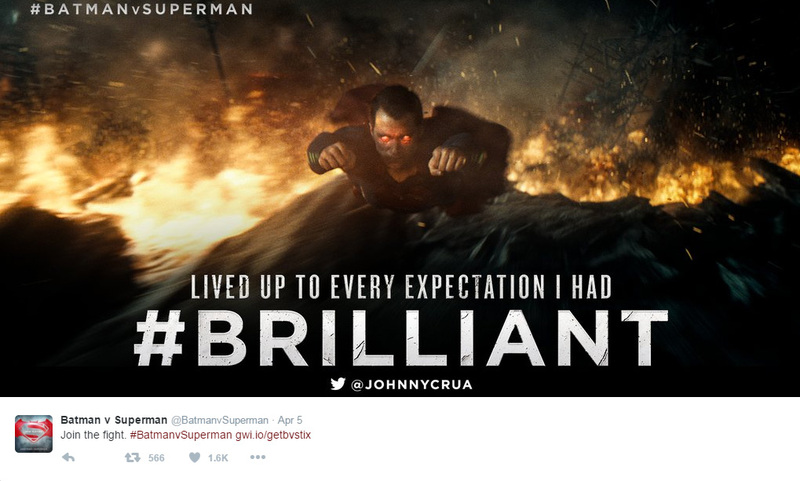 In the time-honored movie-marketing ploy of plucking a few words out of context from a review to suggest that the critic actually enjoyed the movie, the Warners team has been posting the following graphics to Twitter. 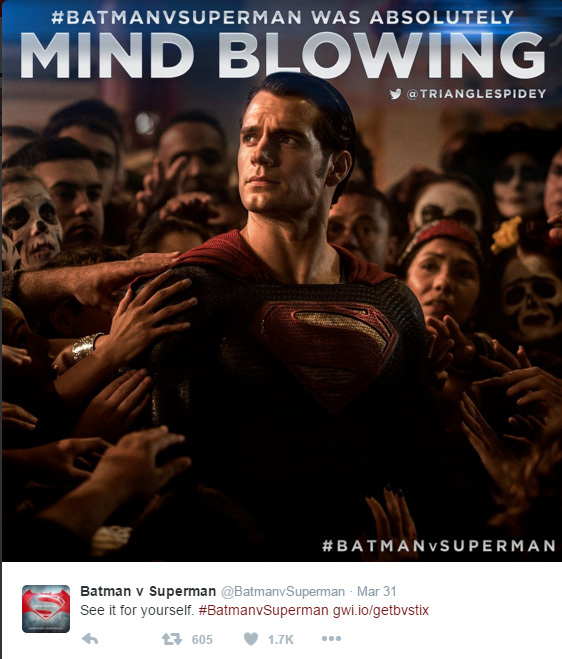 To be fair, the fans seem to have actually enjoyed the movie (the Rotten Tomatoes audience score is an inexplicable 69%). But is the opinion of someone with less than 200 followers on Twitter of any use? Yeah, yeah, democratization of the Internet, end of the gatekeepers, blah blah. 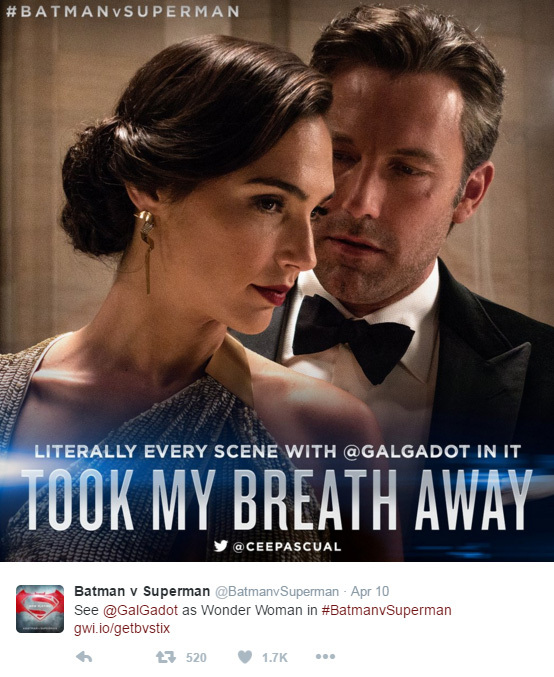 But seriously, Twitter user @ceepascual‘s money quote, “Literally every scene with @galgadot in it took my breath away,” is just a guy ogling a pretty lady. Progress! 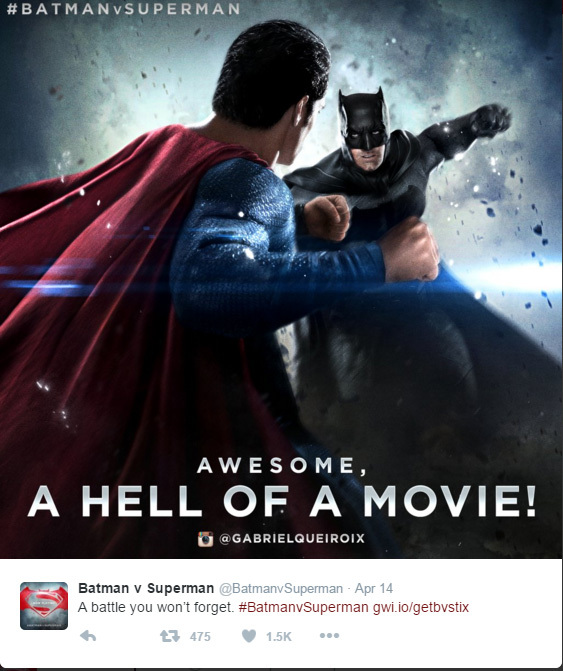 I have been retweeting these desperate memes right back at Warners, with snarky comments, to no effect. There is an entire wing of the Nuttycombe Archives filled with Silver Age Superman and Batman comic books, a treasure trove that I adore. I was such a Batman purist that when I watched the Adam West Batman show on TV in the ’60s, I despised it. Why so unserious? As a kid, I did not understand camp. I’ve evolved. But the approach to adapting comic book characters for film and television (and, indeed, in comic books) has swung so far in the other direction that I was about to write my own screed against this current climate of morose, sociopathic superhero movies, filled with what Wesley Morris in the New York Times termed “lugubrious solemnity and generic philosophizing.” But here’s the Austin American-Statesman‘s Joe Gross summing up better than I the problem with BvSDoJ. Spoiler alert: He compares it, unfavorably, to a garbage fire. “@ohsnapitsgingee” seems to have disappeared from Twitter.